Kitchen Trends for 2018 – What Can We Expect? 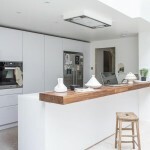 The all white kitchen is still really popular, but in 2018 it is predicted that more of us will opt for alternative industrial materials for worktops and cabinets. Those beautiful decorative Mediterranean-style tiles will become increasing popular and online searches for cheaper ‘Eco’ materials are on the increase. Pinterest recently reported that searches for ‘plywood’ are significantly on the up! In 2017, we started so see more colours creep in to kitchen cabinet doors and worktops. With white cabinets being so popular for the last decade, 2017 saw changes as greys, blues and green colours flooded our kitchen designs. The kitchen is still the heart of the home, a ‘living room’ where people are opting for comfortable furniture and furnishings, really wanting to make their kitchen a room people want to spend time in and socialise in. The island, the peninsula and the breakfast bar are here to stay, so we expect to still be fabricating lots of those lovely statement Corian worktops for our customers. 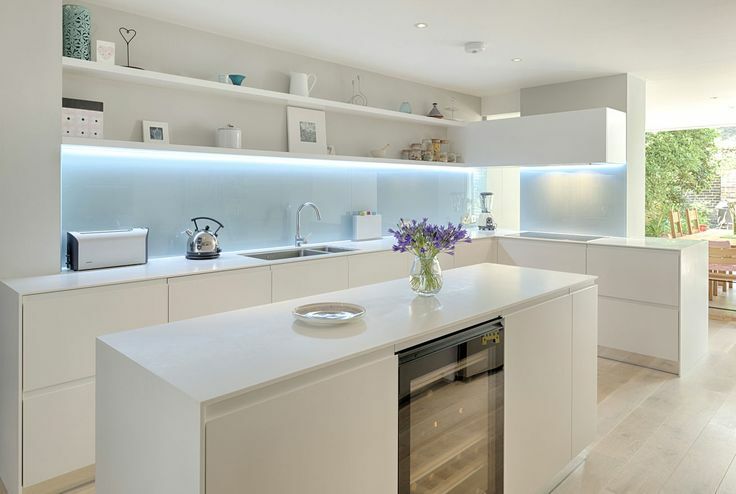 With people choosing to mix and match their worktop materials, we can expect to see some really eye-catching kitchen designs. 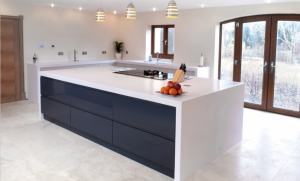 The choice of worktop is still such an important part of designing and planning your kitchen, this is where our expertise is. We love to help our customers when it comes to this. However, the best bit of our job, without a doubt, is getting to see the finished article. Hard at work. 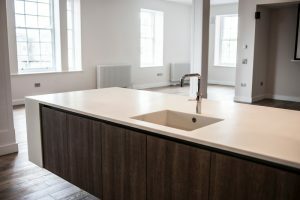 The team from GM Solid Surfaces see here installing a white corian kitchen worktop and a beautiful seamless waterfall island top. We are very happy to announce that we are now able to fabricate and install KRION™. 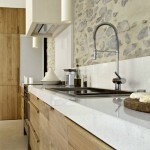 A new generation solid surface developed by SYSTEMPOOL, a company belonging to the Porcelanosa Group. This beautiful material is warm to the touch and similar to natural stone. It is made of two-thirds natural minerals (ATH – Alumina Trihydrate) and a low percentage of high-resistance resins. This composition gives KRION™ a number of exclusive features: it does not have any pores, it is anti-bacterial without any type of additive, and it’s hard-wearing, highly resistant and easy to repair. This is very low maintenance and easy to clean solid surface. KRION™ sheets can be thermoformed to create curved sections and can even be injected during the production process, making it possible to create different designs and projects that are impossible to achieve with other materials. Available in a wide range of colours, including a white finish that stands out for its purity and neutrality in comparison with other similar material. Handleless and clean lines – the kitchen trends for handleless units will continue this year, with monochrome styling, greys and blues being very popular. Watch out for the colour ‘denim’. Keep it clutter free – with more kitchen storage options, secret drawers and floor to ceiling height pantry cupboards , we all stand half a chance of keeping our kitchen worktops clear and clutter-free. Not only does it keep your worktops tidy, but it creates the impression of more space. Copper highlights – one of the big kitchen trends this year will see more people opting for copper fittings, lighting, drawer handles and taps. Copper colour brings warmth to any kitchen style, be it industrial, contemporary or traditional. 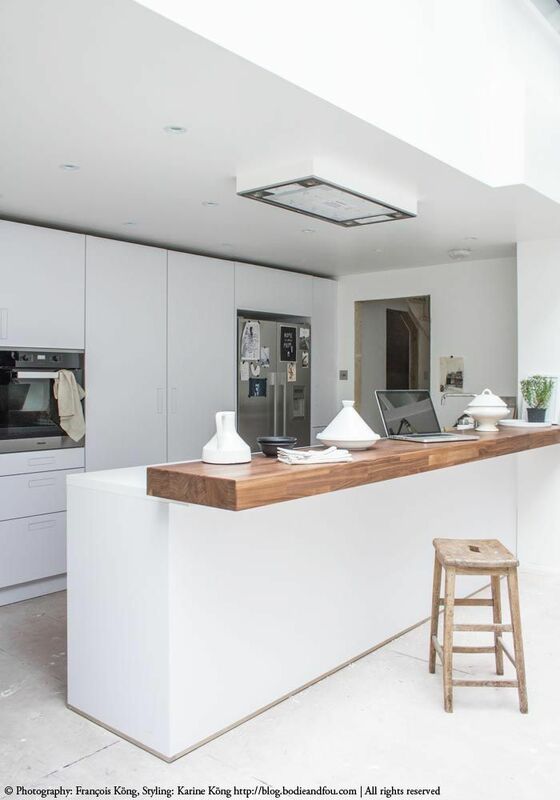 Worktop upgrade – The worktop ‘upgrade’ will continue as people ditch their laminate worksurfaces and opt for solid surfaces such as Corian, Quartz, concrete and stone. 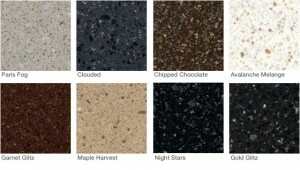 Opting for these materials will easily transform your kitchen in terms of function, finish and quality. Predictions for 2017 kitchen trends are that the key worktop colours this year will be white, black and grey. Industrial – Anything goes now as we become more experimental in the types of wall finishes, flooring finishes, unit fronts and work surfaces in our kitchens. This year we will see more industrial metals and materials being combined with traditional materials such as wood and stone. 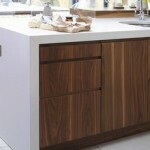 Visit www.gmsolidsurfaces.co.uk or call us on 0800 774 7854 today. 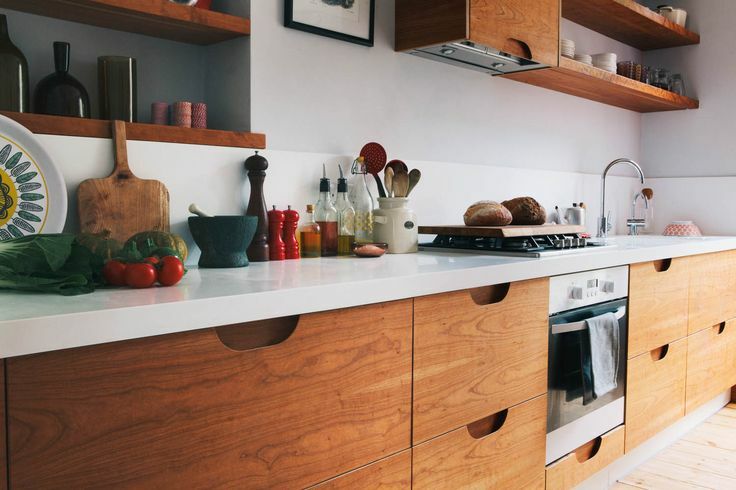 Time to invest in a kitchen solid surface. Your kitchen is about to transform into a hive of activity. Roll out the mince pies, stir the gravy, chop the veggies and carve the turkey. As we roll up our sleeves and wash our hands ready to prepare all the Christmas food and drink, we want a clean, durable, stain-resistant and hygienic surface to prepare it all on. If your worktop is looking a little tired or if you are in the middle of a kitchen re-fit before Christmas, please call us today and talk to us about the benefits of corian and other solid surface worktops. There is still some time left…. Christmas is the busiest time of year for everyone, including for us, at GM Solid Surfaces. Gary and his team are working like crazy in the workshop and out on the road to get around to all our customers and install their solid surfaces. We have been fabricating and installing bespoke solid surfaces for a very long time now and this is always our busiest time of year. We fully appreciate how important it is to make the right choice when it comes to your kitchen work surface. 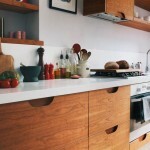 It is after all, the part of your kitchen that needs to work the hardest and stay looking the best for years to come. Get in touch with us today to discuss our range of very reasonably priced, solid surface options on 0800 774 7854. Why Choose Staron for your Kitchen or Bathroom Surface? 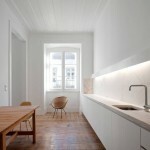 We are all pretty familiar by now with corian. 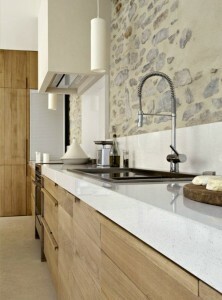 It is a really popular choice and a fantastic solid surface material for kitchens and bathrooms. But when we mention Staron, fewer customers have ever heard of it. We wanted to make sure that you are well informed about all the materials GM Solid Surfaces can supply to customers. To begin with, Staron® Solid Surfaces are 100% waterproof, hygienic and durable. 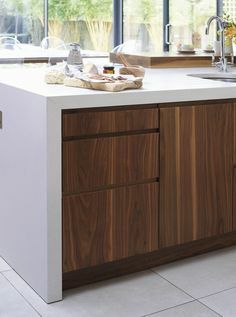 Not only that, they have invisible joints which create a unique seamless design, something this is very important to the aesthetics of your modern kitchen or bathroom. There are plenty of designs, colours and stone effects to choose from. It is a solid surface made from a blend of natural minerals and thermosetting acrylic polymers, safely developed for use in the home. The colour runs right through the thickness of the material – any drainer grooves, edge profiles or cutouts can be formed seamlessly. Staron is an award winning solid surface material. It’s easy to clean and a hygienic safe surface – making it the perfect choice for commercial and medical environments too. 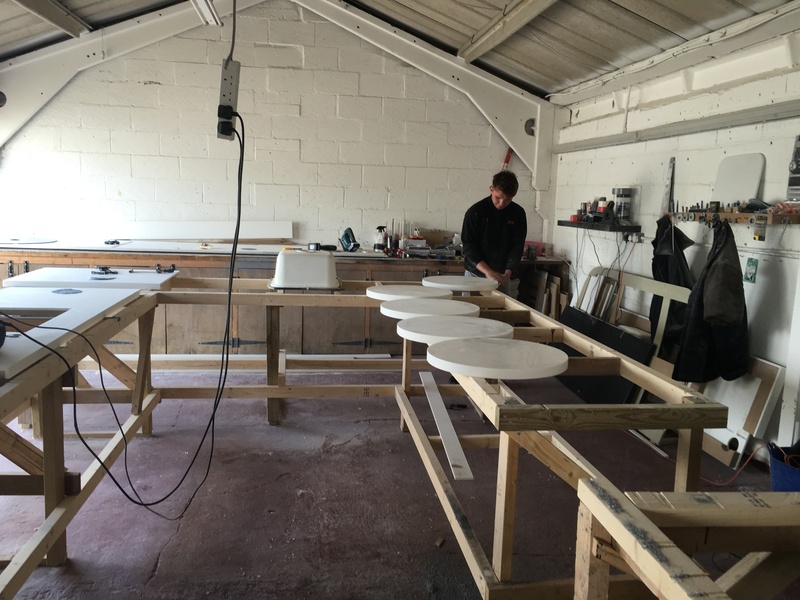 GM Solid Surfaces – 75 White Corian Table Tops Headed for France. Sadly, the summer is almost over. But for GM Solid Surfaces it’s been one of the busiest on record. One of our latest projects has taken us across the English Channel to France. 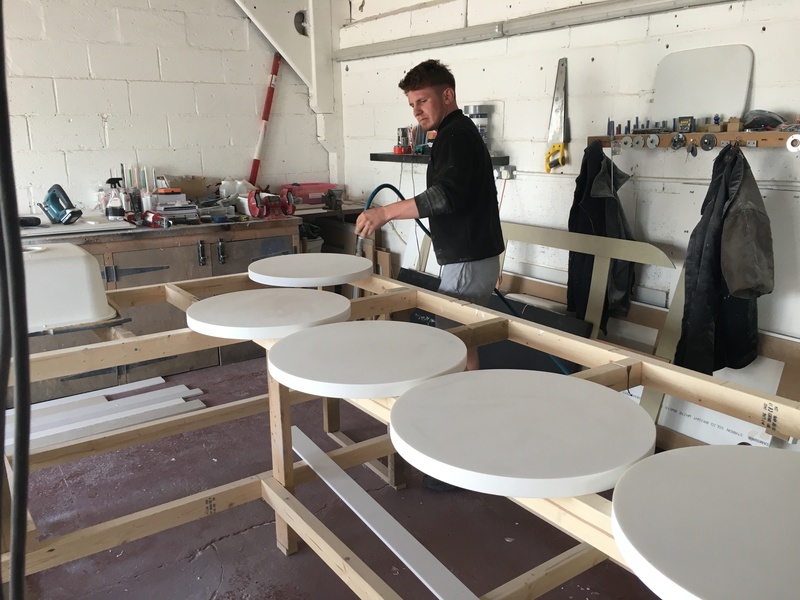 Gary and the team were commissioned to fabricate 75 round bistro table tops and a long bar top out of white corian for a restaurant in France. As they were packed off very carefully to France they looked fantastic. The workshop was a hive of activity with our dedicated team working hard, doing what they do best to achieve a top quality finish on each of the tables and the bar. 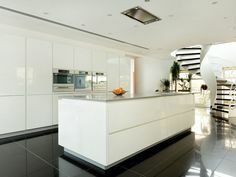 It is great for GM Solid Surfaces to see the Commercial Project side of the business flourish as is the domestic side. We are waiting to see the final photos in the French restaurant. As soon as we do we will share them with you. We are proud to say that our specialist fitting teams are project managed and directly employed by us; this is an assurance of quality. Our high quality performance, with many recommendations to our name, is a priority at every stage of the manufacturing and installation process. Our quality can only be achieved as a result of commitment to our clients, expertise in our trade and skillful execution – combined with priceless industry experience and knowledge. We are proud of our ‘can do’ culture. Keep your eyes peeled for our future monthly blogs. We can’t wait to share our latest news, industry updates and general ‘goings-on’ at GM Solid Surfaces. Here are the 2015 colour samples from all major suppliers of Solid Surfaces. Simply click on the links below to see the colour charts in a new window. 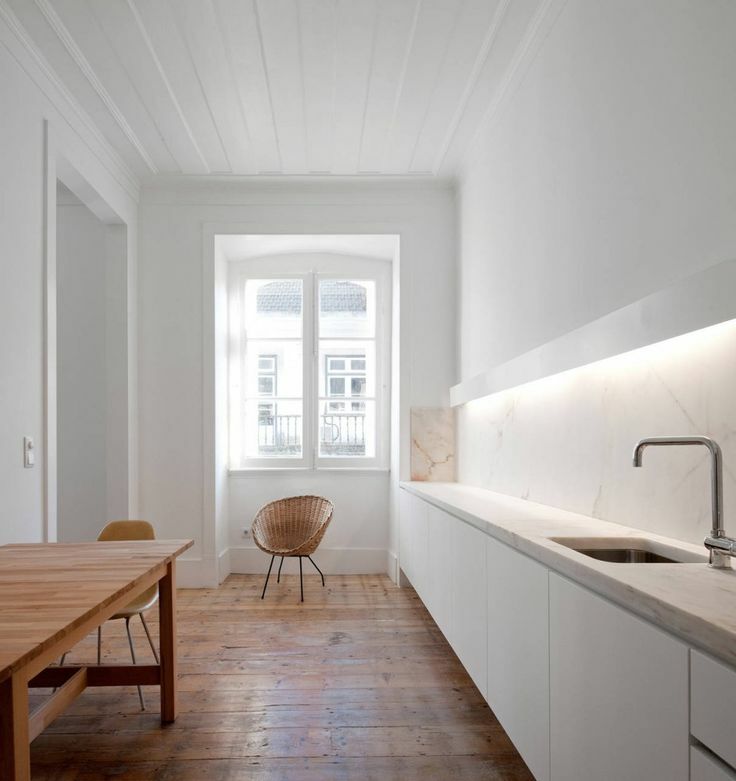 Solid Surfaces – Needing Inspiration for your new Kitchen ? 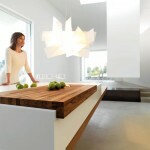 Ideas for Solid Surfaces – Corian is a solid surface countertop material made from acrylic polymer. It’s a great countertop option if you’re tackling a kitchen renovation because it resists stains, scratches, sunlight and heat, and it also comes in more than 130 colors ! One of the main benefits of corian is it is Seamless: In the fabrication process, joints can be made invisible by joining the relevant pieces with Corian’s own color-matched two-part acrylic epoxy. The pieces are clamped tightly together in order to express any excess adhesive. After the adhesive dries, the area is sanded and polished to create a seamless joint. This seamless appearance is a signature characteristic of the material. 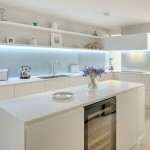 When looking for solid surfaces choose Corian.